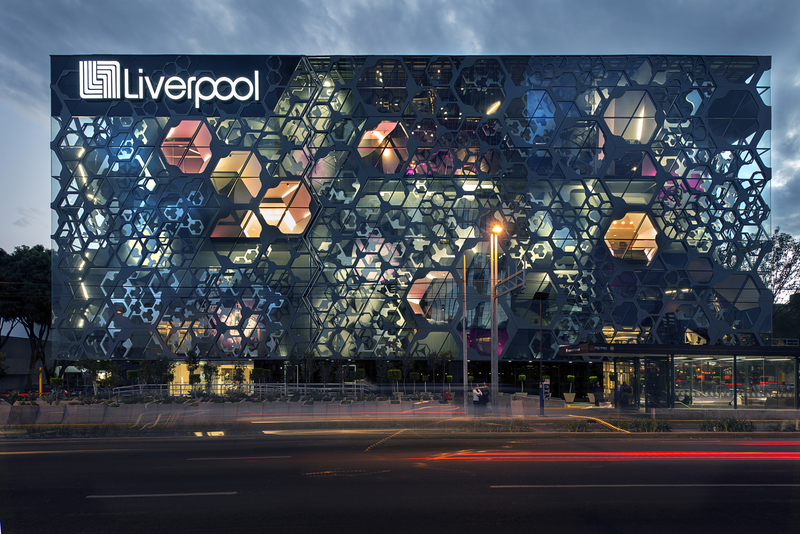 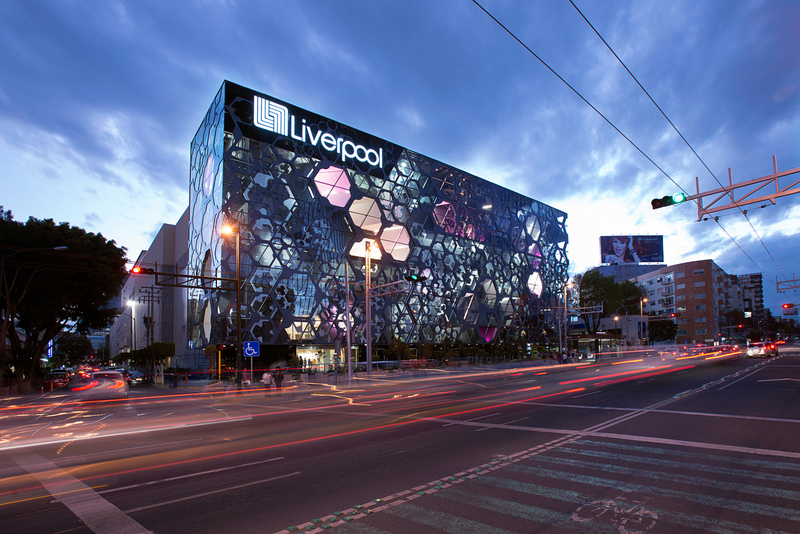 Liverpool Insurgentes challenges the notion of the typically closed “big box” retail model by creating a porous habitable façade, blurring the line between inside and outside and achieving a dynamic urban presence. 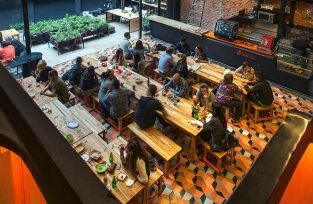 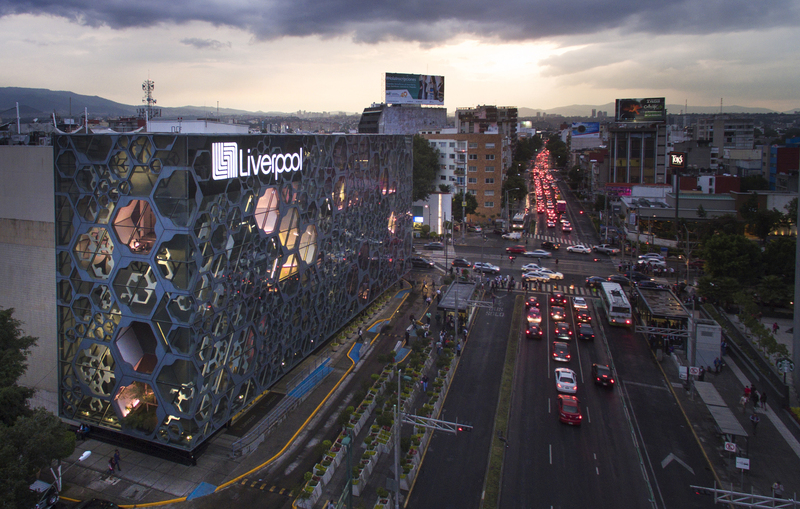 A successful department store had moved forward with plans to expand and occupy what was once a very important open urban space at the busy intersection of Insurgentes and Felix Cuevas Avenues in the southern quadrant of Mexico City. 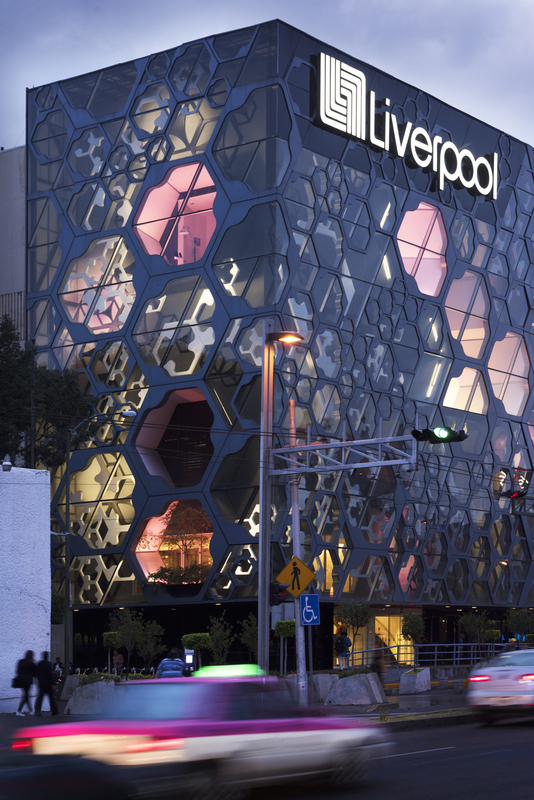 With the opening of a new subway station at the corner of the site, and its subsequent increase in pedestrian traffic and private transport activity, it became apparent that the typically closed “big box” retail model had to be questioned and a new identity given to the existing store’s façade to achieve a more dynamic urban presence as well as promote the brand. 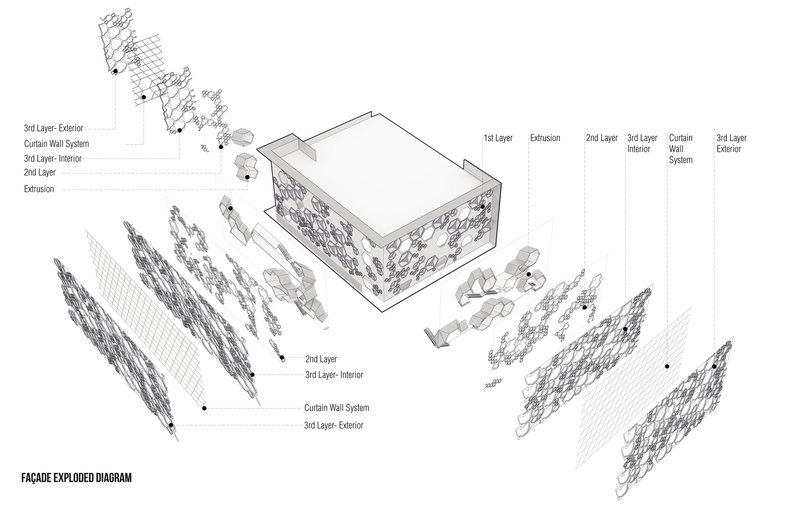 We proposed to give the box a permeable and animated envelope where the activities taking place inside can be showcased and can interact with urban activity. 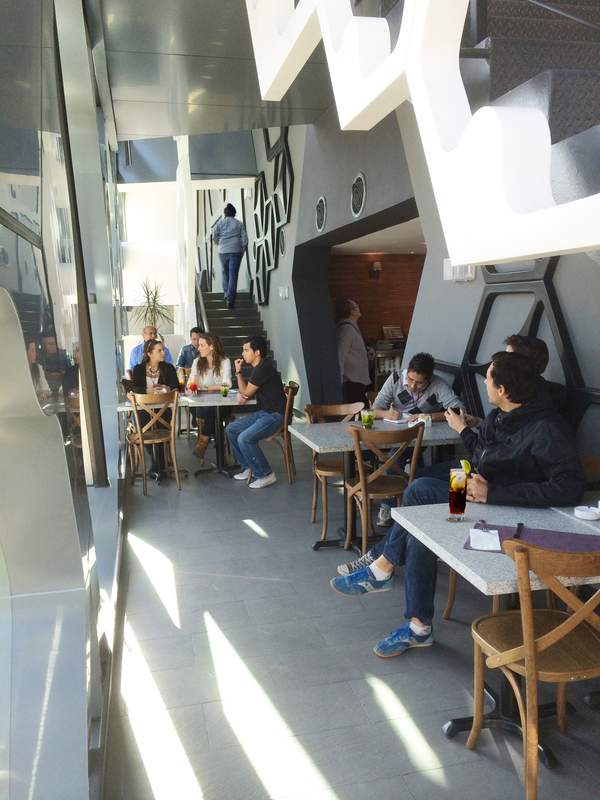 We created a “deep wall” system where new programmatic options can be explored blurring the line between inside and outside to give the users and pedestrians a more interactive experience. 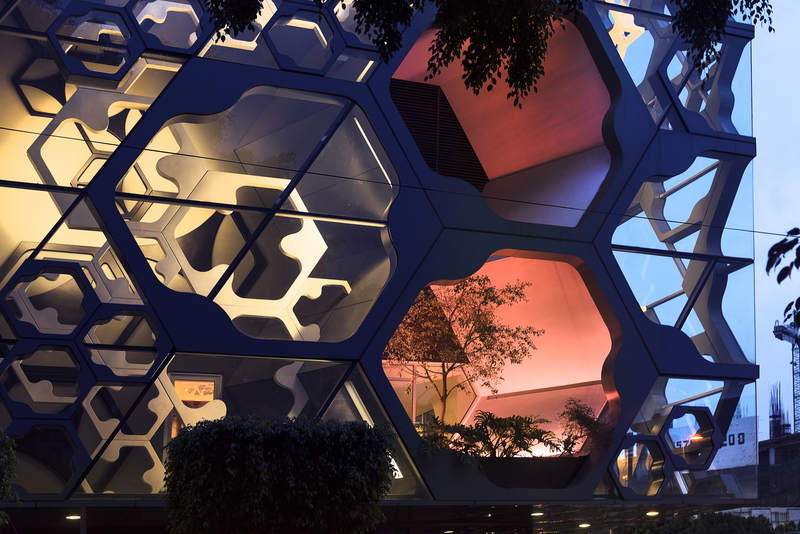 A variety of temporary programs and/or displays can be housed within the porous habitable façade that becomes a mediator between the busy surrounding urban condition and the department store’s traditionally programmed interiors. 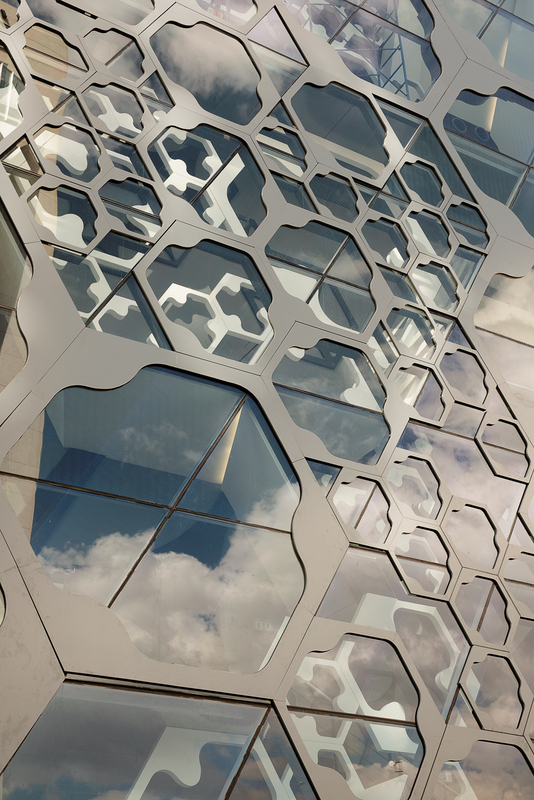 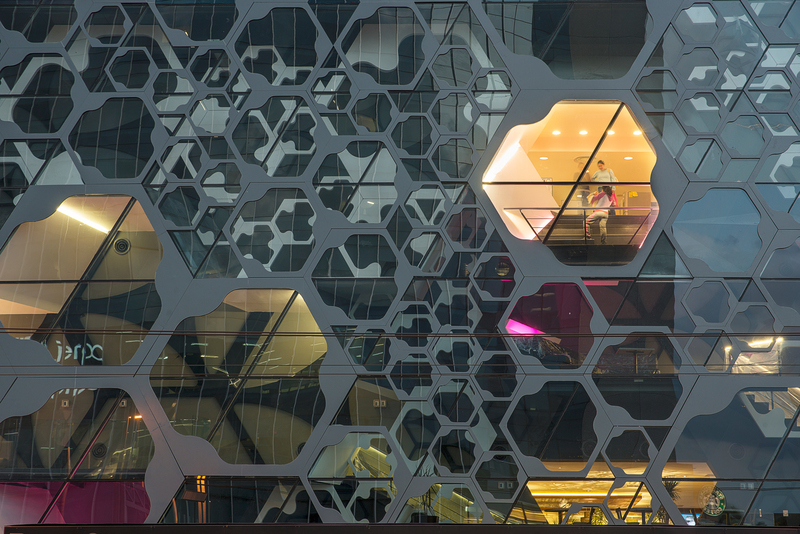 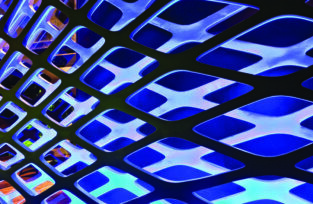 Inspired by Moiré patterns and optical art, the 2.8 meter-deep wall façade consists of a three-layer multi-sized hexagon system made of fiberglass, steel, aluminum, and glass. 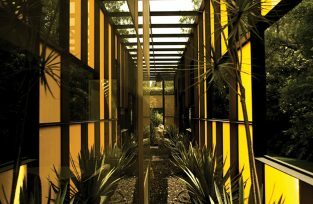 The resulting spaces are accessible from the interior through large openings that reveal the inside of the store to the passerby and viceversa. 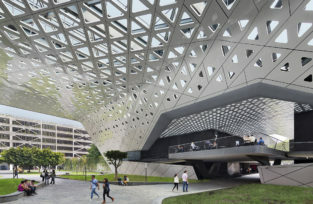 These spaces are connected through stairs and ramps, allowing the dweller to navigate within the façade. 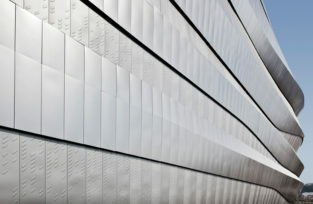 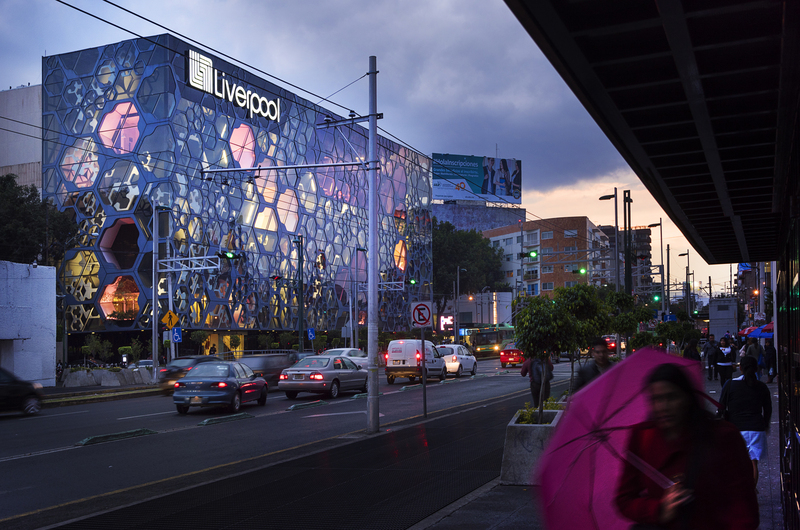 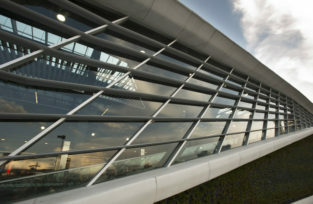 To make Liverpool Insurgentes feasible, this project took full advantage of Mexico’s skilled craftsmen and rich tradition in metal work to overcome the unique challenges in fabrication and budget constraints. 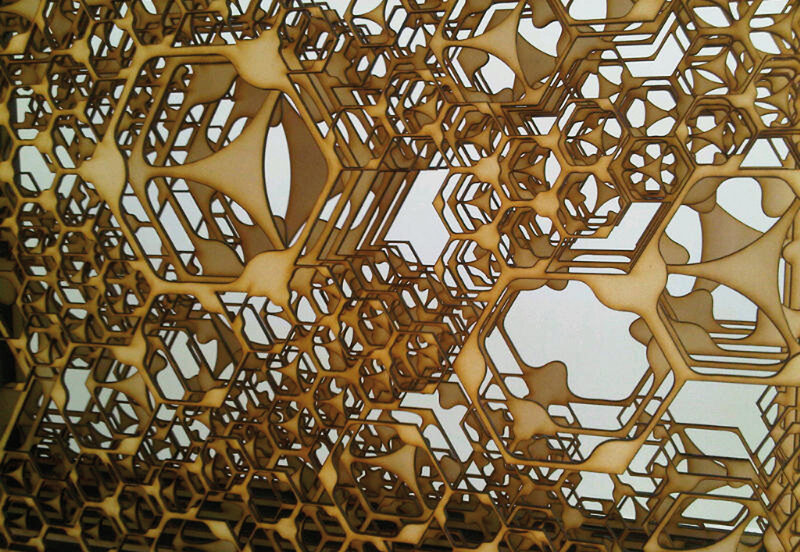 The result of this “digital design / local fabrication” model is unique in its high-tech but crafted qualities. 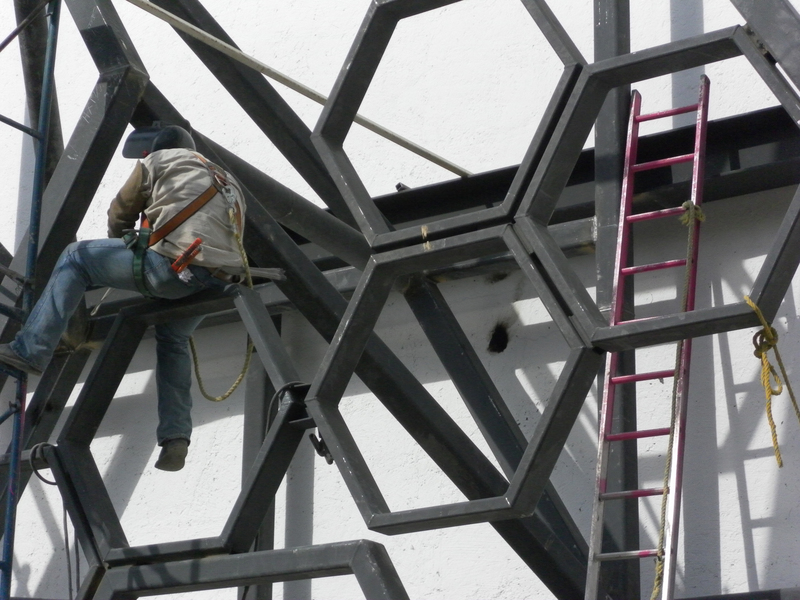 Tamaulipas 30, Piso 12, Col.